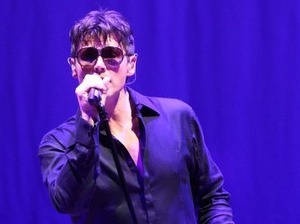 The German leg of Morten’s solo tour started at the Congress Center in Hamburg yesterday, in front of 1900 fans. The 19-song setlist was the same as in Russia. 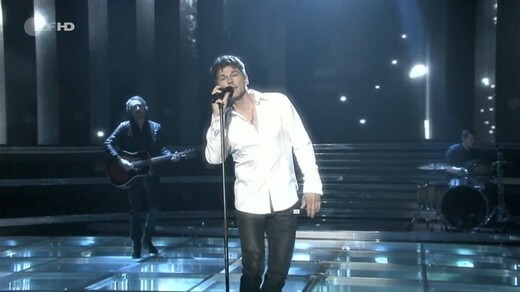 But despite a busy touring schedule, Morten’s voice remains strong, as evidenced in this performance of Stay On These Roads. There’s a review and photo gallery from Hamburg at mopo.de. Morten was a guest on the popular German TV-show Willkommen bei Carmen Nebel yesterday, broadcast live on ZDF from the city of Fulda. In addition to a short interview, he did a playback performance of “Scared Of Heights”. Both the performance and interview can be seen on YouTube. In addition to being this year’s artist at the annual Peer Gynt culture festival at Vinstra (see March 29th story), Magne has now also been chosen to be this year’s artist at the annual Olsokdagene festival at the historical site of Stiklestad, opening on July 23rd. As adressa.no reports, Magne’s exhibition at the festival will include a unique graphic print inspired by Stiklestad, only available in 20 copies. Magne will be present at the opening on July 23rd. The exhibition is open until sometime in August. 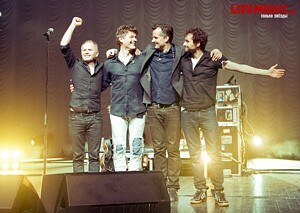 Morten ended the Russian part of the tour on Thursday, with a concert at the Little Ice Palace in St. Petersburg. No changes in the setlist, which has been the same since the second concert in Novosibirsk. 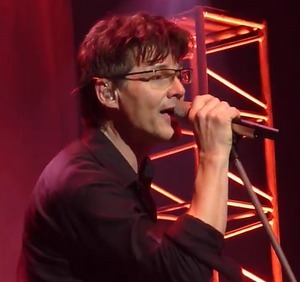 But after Morten missed his cue (once again), Crying In The Rain turned into a real trainwreck – demonstrating how difficult it is to correct things when you’re using a lot of pre-programmed sounds. 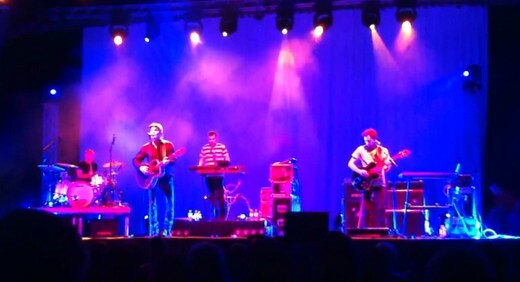 Check out other YouTube clips from the concert here. 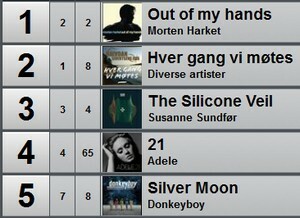 Out Of My Hands climbs up to #1 in its second week on the Norwegian album chart, making it the third of Morten’s solo albums to reach the top spot in Norway. And in the German single chart, “Scared Of Heights” climbs up from #92 to #60 in its third week. Reports from Russian fans indicate that yesterday’s concert at the Cosmos hall in Yekaterinburg had the same setlist as in Tomsk. Video clips on YouTube so far include Burn Money Burn, Crying In The Rain, Forever Not Yours and Take On Me. The tour continues in Moscow tomorrow. 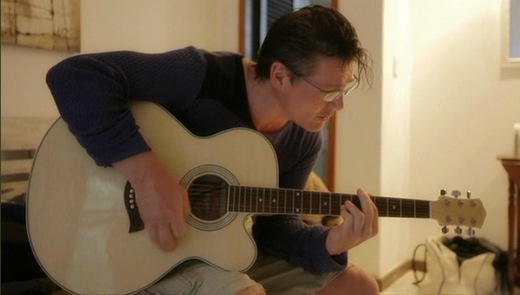 And some news from Morten’s official website; Out Of My Hands enters the German album chart at #3 in its first week, which should be considered a very good result. 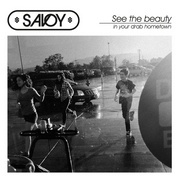 Despite bad reviews, Out Of My Hands has entered the Norwegian album chart at #2 in its first week, only beaten by Hver Gang Vi Møtes – a collection of songs from a popular TV2 show, where various artists perform cover versions of each others’ songs. In comparison, Wild Seed and Letter From Egypt both entered the album chart at #1. Vogts Villa entered at #21, while Poetenes Evangelium did not chart. In Germany, “Scared Of Heights” falls from #48 to #92 in its second week on the single chart. 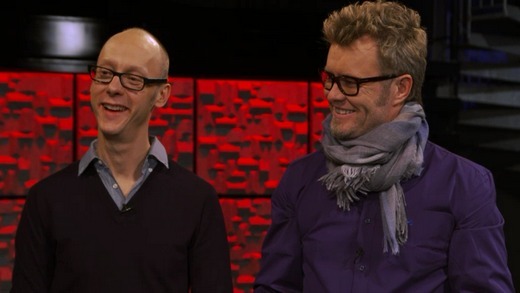 Magne and the other mentors on The Voice were guests on TV2’s talkshow Senkveld tonight, before they are off to Magne’s cabin on a mountain trip before next week’s live show. Morten’s tour continued at the Palace of Sport in Tomsk yesterday. The setlist was the same as in Novosibirsk, except “Scared of Heights” opened the first encore, instead of ending the main set. 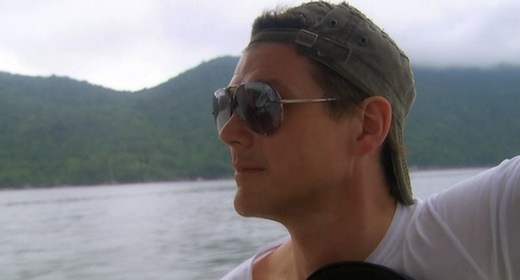 There are also some YouTube clips of Morten introducing the band and dedicating “We’re Looking For The Whales” to Paul and Magne. 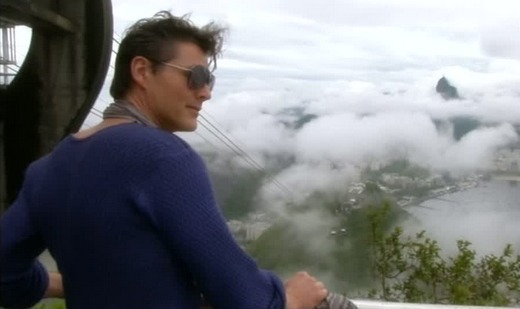 Morten continued the tour today, at the Circus venue in Novosibirsk. And apparently this concert ended up being radically different from the first. The setlist was almost completely shuffled around, compared to Krasnoyarsk. 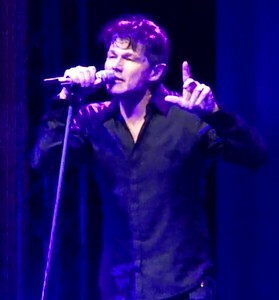 In addition, three solo songs were added; “When I Reached The Moon”, “Just Believe It” and “Lay Me Down Tonight”, plus one additional a-ha song; “We’re Looking For The Whales”. 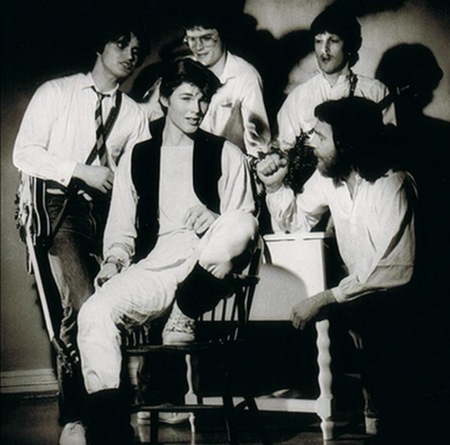 So in total, there were 8 a-ha songs, 7 songs from Out Of My Hands and 4 songs from Wild Seed. Trying out different setlists at the start of a tour is something a-ha have usually done as well, before settling on the “final” setlist after a few shows. 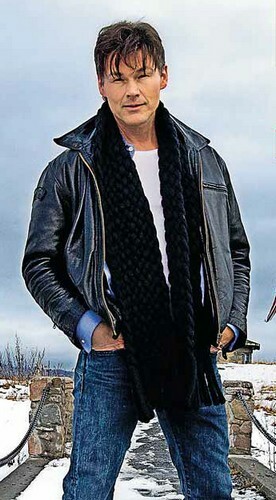 You’d think perhaps Morten would be in Russia by now, preparing for the tour opening on Monday. Instead, he’s made another trip to Germany for more promotion. 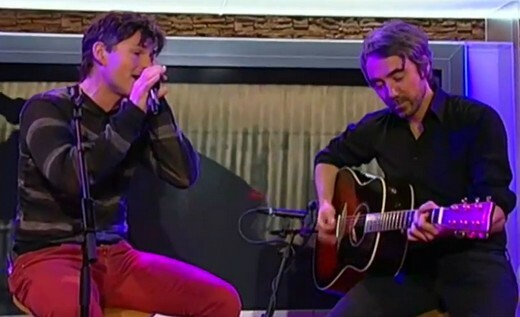 This morning he was a guest on ARD’s “Morgenmagazin” in Cologne, where he also did the first live performance of “Scared of Heights”. The interview and the live performance can both be seen on YouTube. 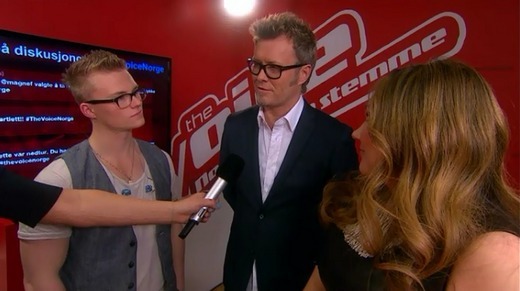 While in Cologne he also appeared on the RTL show “Exclusiv” (video clip). There is also a new 2-part interview at VIP.de; Part 1 Part 2. BTW, “Scared of Heights” has entered the German single chart at #48 in its first week. 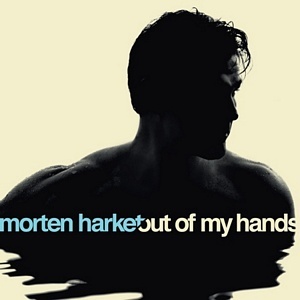 Morten’s new solo album Out Of My Hands is released in Norway, Germany and seven other European countries today (see release schedule on mortenharket.com). Electric car company Tesla Motors opened a new showroom in Oslo today, where their new Model S premium sedan was the main attraction. 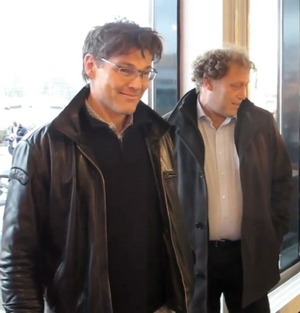 Morten, known for his interest in electric cars and renewable energy, arrived at the opening in a Tesla Roadster sports car together with his friend Frederic Hauge, leader of the Bellona Foundation. In 1989, Morten and Magne brought the first electric car to Norway in co-operation with Hauge and Bellona. “It’s got a really sleek design, but the important thing is that we now have a technology that’s making this possible”, Morten said, while seated behind the wheel of the Model S.
“I live out in the country, and need something with a higher ground clearance. 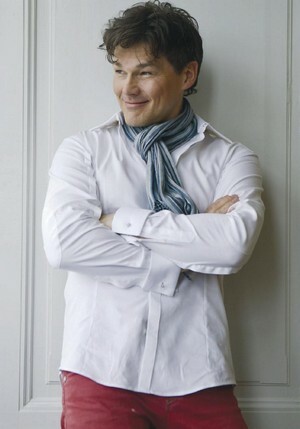 Therefore I would be more interested in a car like the Tesla Model X”, Morten told Dagbladet. 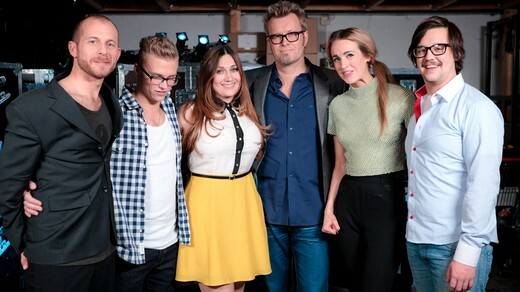 There is also a video clip at VGTV. Morten was originally scheduled to be a guest on the German TV-show “Gottschalk Live” today, but that appearance was cancelled. “You’ve made a quick return as a solo artist, even though you could have been resting on your laurels. Why do you keep going? Because I want to! There’s still a lot left to do, I’m not finished with what music can provide. 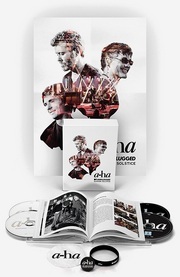 How has the time been, since the last a-ha concert? There was a great period of relaxation in January and February . But in March I was at it again. I couldn’t wait any longer. If I was going to continue, it didn’t need any pondering. It was time to start planning. The machinery was still warm, the system was up and running. So I didn’t want to wait until I became slow and lazy. Are you still in contact with Paul and Magne? It’s like usual. Which means never. No, just kidding, but we have been living so intensly on top of each other that now we’re in contact when it feels natural. It can be at one of Magne’s exhibitions. But we don’t write letters to each other. Magne writes an enormous amount of e-mail, but I never reply to e-mail. Paul and myself aren’t chit-chatting either. We’re grown men. But those two will always be a huge part of your life? Yes, we’re eternally connected. But we’re stubborn individuals, all three of us. We will always have a lot of respect for each other and everything we do individually. a-ha is a unique forum. You can’t take away any of us and still call it a-ha. 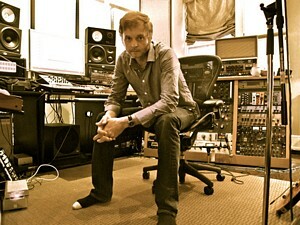 Paul has written many of the songs you have made classics. As a solo-artist, could you still have performed songs written by him? Yes, I could. And songs written by Magne. There isn’t any prestige in that? No, definitely not. The prestige lies in choosing an interesting selection of material. And it’s even more interesting if you’re both the songwriter and the singer. But that’s often not the case, as well. Sometimes I write songs that would be better suited for someone else. That’s how it works when I’m choosing songs – I don’t look at who’s written them. 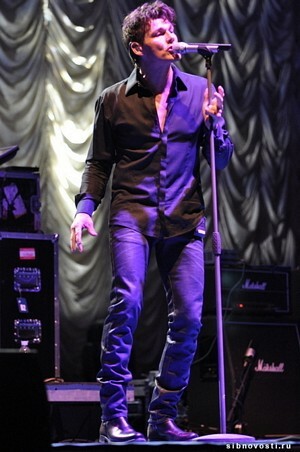 On the last a-ha tour you left most of the talking to Magne, you hardly spoke at all in between songs. How will that work on your solo tour? I will have a live connection to Magne on stage, so he’ll still do all the talking! Why is it that you don’t talk in between songs?